Despite ongoing attacks on Israel from Hamas-ruled Gaza Strip, Israel restores 50 megawatt supply to Gaza. Israel’s Energy Minister, Yuval Steinitz (Likud) ordered the Israel Electric Corporation on Sunday to restore the full 50 megawatt supply of electricity to the Gaza Strip, despite ongoing rocket fire emanating from the Hamas-ruled Strip. Last week, the Palestinian Authority announced that it had agreed to renew payments to Israel for the delivery of electricity to the Hamas-ruled Gaza Strip, following the signing of a comprehensive reconciliation agreement between the ruling Fatah party in Ramallah and Hamas in October. A long-running financial dispute between Hamas and Fatah led the PA to deny payment for electricity delivered to Gaza. The move led to a 50 megawatt reduction in the supply provided by Israel to Gaza. This forced Hamas officials to cut the time public electricity, not including power from privately owned generators, is offered to Gaza residents by 50% - from eight hours a day to four. In late October and again in December, Israeli forces discovered terror tunnels extending from the Gaza Strip into Israeli territory. 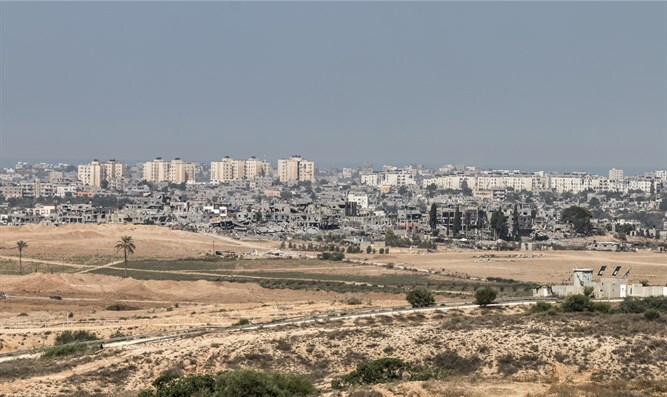 Gaza-based terrorists have also fired dozens of rockets and mortars at Israel in recent weeks, including three last Wednesday. On Sunday, Steinitz order the IEC to restore Israel’s supply of electricity to Gaza to its pre-June 2017 level, following a request by the Palestinian Authority. The PA will resume its full payments to Israel for Gaza’s electricity, which had been reduced last June from approximately 40 million shekels ($11.65) per month to 25 million shekels ($7.28).